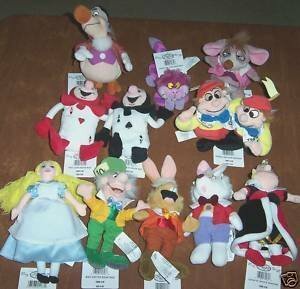 Set of 11 plush dolls, ranging from 6 to 9 inches tall. 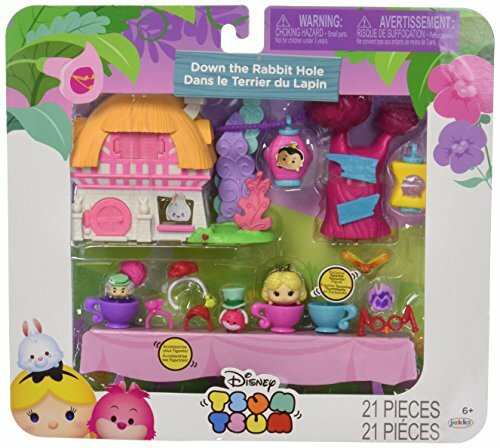 The set includes Alice, the Queen of Hearts, Cheshire Cat, White Rabbit, Mad Hatter, March Hare, Tweedledee and Tweedledum, Dodo, Dormouse, Red Ace, and Black Ace. Alice collector doll, with a beautiful outfit from the movie “Alice through the Looking Glass”.